We are not unrealistic about the amount of transformation that is possible in a short period of time. 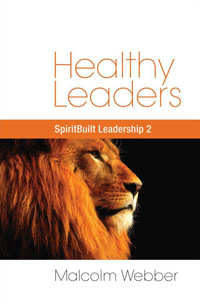 No leadership school that only lasts for a short period of time can claim to produce a mature leader. It takes a lifetime to build a mature and seasoned leader. For example, Moses spent years on the backside of the desert in preparation for his ministry. Joseph spent years in slavery and jail before he received his assignment. Paul spent many years in preparation for his apostolic ministry. Jesus only began to minister when He was thirty. Thus, Jesus spent 30 years of preparation for 3 years of ministry. Even more extreme was John the Baptist who spent 30 years in preparation for 6 months of ministry. That stands in contrast to our practices today – usually we spend a short period of time in preparation for a long period of ministry! It takes time for a leader to become mature. Traditionally, learning institutions give their students degrees when they finish the prescribed course. Sometimes this can be quite damaging – both to the student and to his community – because the degree gives the appearance of a maturity and qualification that may or may not actually be present in the person’s life. There is a Chinese idiom: “Pull the root up and help the plant grow faster.” Of course this does not work. In fact, it will probably kill the plant, even though in the short term the plant will appear to be taller. In one Asian country, the influence of foreign ways of training has been quite negative. After a couple of years of training, young people graduate with degrees from schools that are funded and controlled by foreigners. These young people may not have planted a church in their lives, they have probably not spent time in prison for their faith, and some of them may not have even led anyone to the Lord. Yet, now they each have a degree – apparently, they’re qualified. In contrast, the older leaders have planted hundreds of churches, won thousands of people to the Lord, have suffered for their faith for years in prison and have built the church movements with their own blood, sweat and tears – but, they don’t have any degrees. Suddenly, who appears to be more “qualified” to lead? This dynamic has led to some degree of social disequilibrium within the church movements. We must recognize that merely because someone has attended a training institution does not mean he is necessarily qualified to lead yet. It takes a long time to build a truly qualified leader. Our “fast-food” mentality will not succeed. In view of the fact that leadership development takes a lifetime, what should be our goal, then, in “leadership training” of some kind? Our next Letter will answer this question.